The AquaGold Fine Touch Rejuvenating Treatment is an injectable device that uses 24 karat gold needles, finer than a single hair follicle, to evenly distribute facial fillers and wrinkle relaxers across the entire face into the skin’s deep layers.The magic of AquaGold is in its ability to distribute cosmetic injectables deeply and evenly across the face, giving you incredibly natural-looking results that can make you look years younger in just a few minutes.AquaGold is the perfect lunch-time rejuvenating treatment, taking about 15 minutes and you are able to resume regular activities immediately after this procedure. It is also virtually painless with results lasting anywhere between 4-6 months. 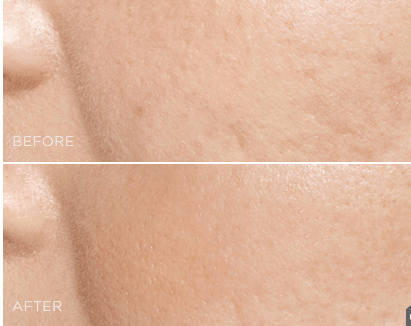 Aquagold calls it ‘microchannel mesotherapy’ – which is basically the same as microneedling. Also known as ‘skin needling’, the procedure is a nonsurgical treatment to stimulate collagen production by ‘puncturing the skin’ utilizing a device containing extremely fine needles. The response is the body’s natural healing process – increasing collagen and elastin production. When collagen and elastin are produced – new skin is formed, literally ‘grown’ and the results are more firm and improved tone and texture of the skin, and minimization of pores, blemishes, and scars. The Aquagold Fine Touch allows us to customize a solution and infuse directly into the skin through the needling process. The Aquagold device is an innovative and efficient treatment that stimulates cellular renewal in the upper layer of the skin through a gentle needling, but also allows a tailored solution, such as hyaluronic acid, is dispersed into the dermis to enhance results. There is little-to-no discomfort or visible side effects. The Aquagold Fine Touch device contains a grouping of tiny, hollow needles that are thinner than a strand of human hair, and it’s applied perpendicular fashion to the skin. Because of the small needles and application angle, patients experience very minimal swelling or redness, and recovery is quick. In fact, it’s so easy, we don’t even have to numb the skin, although we certainly will to ensure your comfort! There are a number of amazing variations using the device to treat acne scarring including PRP or dermal fillers. Hyaluronic acid, or dermal fillers also work wonders for those who would like a subtle increase in volume, particularly around the lower face. For addressing lack of texture and tone, fine line and wrinkles on the face, BOTOX®, Dysport®, or Xeomin® are great options for providing a natural, gentle smoothing of the skin. 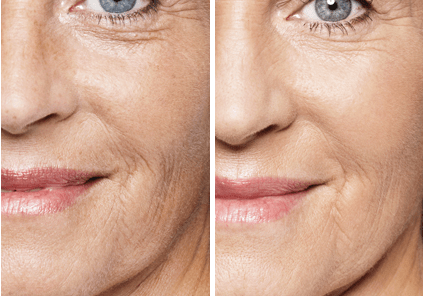 For treating signs of aging on the forearms, hands, neck, and décolletage, microneedling with a dermal filler is a fantastic solution that results in a natural-looking increase in suppleness. The Aquagold system works very well when coupled with other treatments such as deeper dermal filler injections or laser treatments to really enhance results.